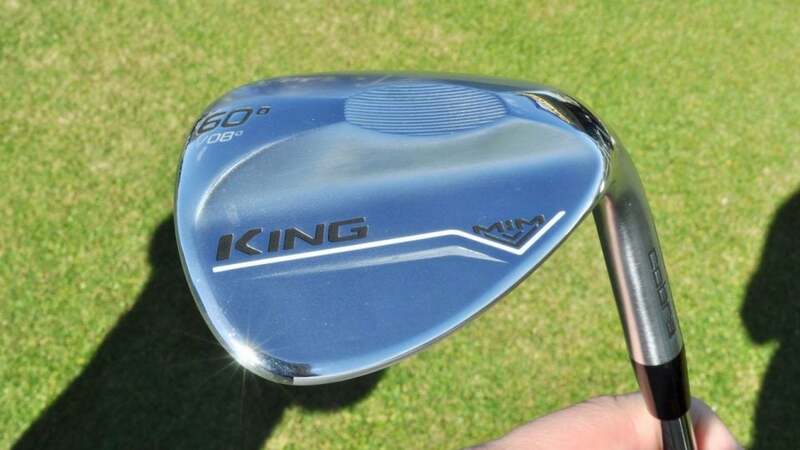 The new Cobra King MIM wedge. For years, equipment manufacturers have used a metal injection molding (MIM) process to create finely-shaped products or weights that fit inside confined spaces. The most common metal to undergo the process is tungsten, which has recently been packed into better player iron heads to increase forgiveness without enlarging the overall profile. Through research and testing, Cobra found another purpose for the molding process: wedge creation. The new King MIM wedge is made from 304 stainless steel with MIM creating the entire head from a CAD file. Once the wedge head is removed from the oven, the sole and topline, in particular, undergo a robotic polishing procedure that's hydraulically computer controlled. Ask an Equipment Expert: Should I use a cavity-back or muscleback wedge? "It's the most perfect shape you can get," said Jose Miraflor, Cobra's VP of marketing. "There's no hand polishing whatsoever, so the grind, topline, everything is perfectly consistent from wedge to wedge. And when you extrude all of that residual material, the grain structure aligns really tight, much like a forging. But unlike a forging, it doesn't shrink rapidly." Miraflor pointed out another benefit of using MIM is that it makes the overall feel of the wedge even softer than what Cobra's released in the past. With a softer feel, the company opted to chrome the CNC milled grooves to ensure they last longer for the recreational player. A view of the face and grooves on the new Cobra King MIM wedge. A circular micro-groove pattern was also added to the face of the wedge that looks nearly identical to the design currently found on the face insert of the King F9 Speedback driver. Miraflor confirmed Rickie Fowler plans to test a raw version of the King MIM lob wedge, but due to the soft material that was used, it's unclear how long a pro will be able to use the wedge before needing to put a fresh one in play. "Honestly, it might be too soft for those guys," Miraflor said. "We're figuring out how long a raw version lasts before the bite starts to go. Those guys are used to going through new wedges every three months due to the amount of time they practice and play. That being said, I'd imagine Rickie will be the first to put one in play."